Law student Braeden Anderson is currently pursuing his juris doctor at Seton Hall University School of Law in Newark, NJ, and expects to graduate in May 2018. Braeden Anderson serves as an advisory board member for AltCourt.org, providing perspectives on cryptocurrency and blockchain issues. 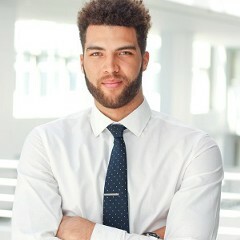 Braeden Anderson is highly versed in the numerous applications of blockchain technology, including smart contracts. What Is the Cryptocurrency & Blockchain Regulatory Task Force?